Church of Taipei Presbytery), were in charge of arranging the schedule and accompanying these five youth co-workers during this two weeks event. Except introducing these five PCI youth to learn more about local cultures, church histories and theological education in Taiwan, attending Sunday services in sign languages with the disabled at William Campbell Memorial Church and visiting the good119 church at Tainan for the homeless were also indispensable parts to learn what Missio Dei means for Taiwan society. 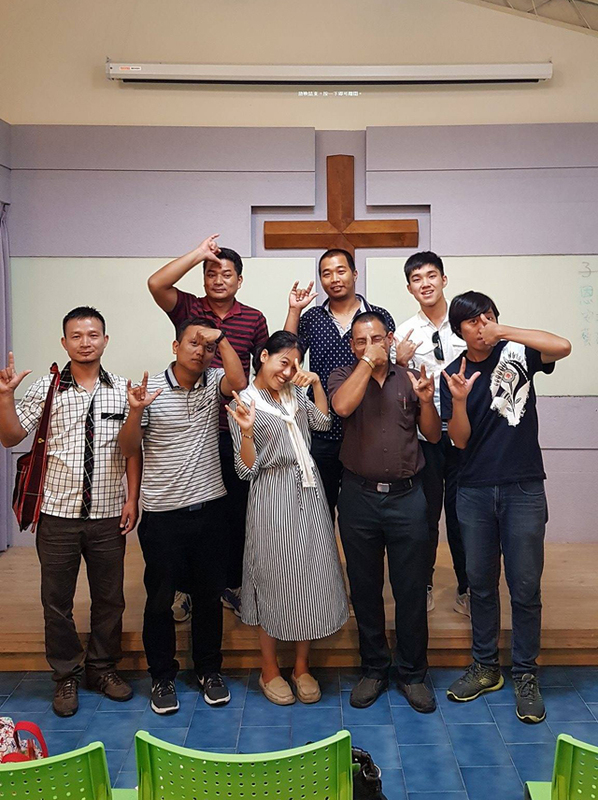 When these five PCI youth visited the aboriginal Wu-tai Church of Rukai Presbytery, a traditional lily lyric was sung by Rev Deresay Tavelengane, Moderator of Rukai Presbytery, to show the great welcome to the ecumenical friends. In a feast, hosted by aboriginal Marlan Church of Eastern Amis Presbytery, five PCI youth were served with a traditional Amis food – snails dishes, which might keep chopsticks far away at the first glance on the table, but you guess what, this special dish was unanimously enjoyed and given thumb up by these five PCI young men!